The transcript and video of Roger Ebert's onstage conversation with Donald O'Connor at Ebertfest 2003. 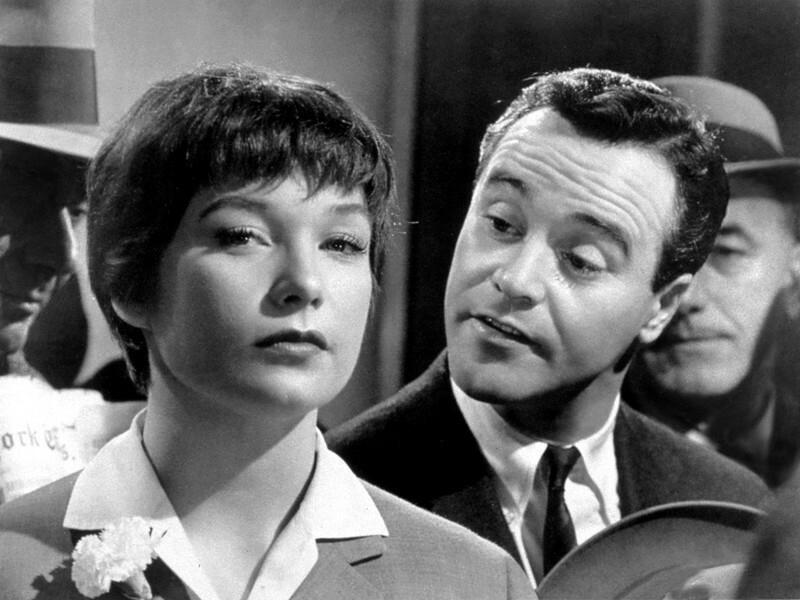 30 Minutes on: "The Apartment"
Billy Wilder's groundbreaking comedy-drama still has the power to wound. An interview with Jason Sudeikis and Leslye Headland for "Sleeping with Other People." Sheila writes: We're all familiar with the horror movie cliche: someone (usually a woman) is alone, creeped out, and investigating a sound she finds ominous. Naturally, it turns out to be just a cat, but that cat can give a pretty good scare. Thankfully, we now have "Supercut: It's Just a Cat" to get our feline scare-fix all in one place. A Woman's Equipment: Barbara Stanwyck's Anklet In "Double Indemnity"
One detail of a film—say, the anklet worn by Barbara Stanwyck in "Double Indemnity"—can tell us more than you might think. Sometime around the two-week mark the withdrawal became too much and I posted on Facebook and Twitter that I was going to dig up a pre-1960 movie and watch it to the last frame. Maybe some followers thought I was being cute about how much I needed to do this. I was as serious as "All Quiet on the Western Front." And I watched "Ivy" [Sam Wood, 1947; starring Joan Fontaine and Herbert Marshall]. And it was good. So good I started to wonder if this was simple addiction. It did feel uncomfortably like I was one of those people who went to sleep in Shreveport and woke up in Abilene. "Come on, Oscar nominee from 1934, let's you and me get drunk." 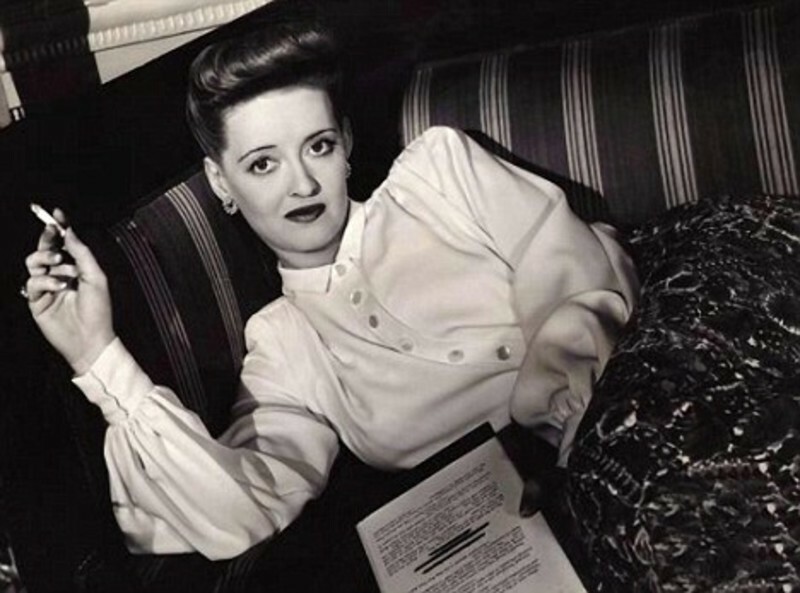 But surely nobody ever wound up in rehab because they couldn't stop quoting Bette Davis movies. I can, in fact, stop anytime I like. Don't look at me like that. I have a Netflix copy of "Zodiac" right there on my dressing table, you just can't see it because it's under the eyeshadow palette. I've had it three weeks and haven't watched it yet, but I'm telling you I could watch it right now if I felt like it and if my daughter weren't already downstairs watching the 1940 "Blue Bird." I just don't want to. I'll watch "Zodiac" this weekend. Right now I need to keep watching old movies, I have too much else going on to quit something that isn't harming me anyway. Hey, did anybody else notice some benevolent soul has posted "Hold Back the Dawn" on Youtube? But Bordwell's article centers on a scene from Paul Thomas Anderson's "There Will Be Blood" (just released on DVD) and the director's orchestration of screen space, which involves creating rhythm and texture by moving the actors, not just the camera. (This, too, is mise-en-scène.) Writes DB: In books and blogs, I’ve expressed the wish that today’s American filmmakers would widen their range of creative choices. From the 1910s to the 1960s (and sometimes beyond), US filmmakers cultivated a range of expressive options—not only cutting and camera movement but other possibilities too. Studio directors were particularly adept at ensemble staging, shifting the actors around the set as the scene develops. "You're certainly a funny girl for anybody to meet who's just been up the Amazon for a year." If you are in Chicago the next few weeks, and you feel like taking in a weekend matinee, then you are fortunate indeed because the Music Box Theatre is presenting a centennial celebration of the toughest, sexiest, smartest, snappiest dame ever to sashay across a cinema screen. By that, of course, I mean none other than Sugarpuss O'Shea, Phyllis Dietrichson, Lily Powers, Lora Hart, Stella Dallas, Jean Harrington, Jessica Drummond, Leona Stevenson, Sierra Nevada Jones, Martha Ivers, Thelma Jordan, Norma Miller Vale, Mae Doyle D'Amato... in other words, Barbara Stanwyck. View image Sugarpuss presents the ball of her foot in "Ball of Fire." View image Will this plan provide full coverage? In both "The Lady Eve" and "Ball of Fire" -- two of her most dazzling and endearing comic performances, from the same year! -- Stanwyck acts as a leveling life-force, puncturing all pretensions and knocking her co-stars' bumbling intellectual noggins out of the hazy cerebral clouds. What she achieves is not unlike what a much ditzier, flakier, upper-crust screwball heroine, Katharine Hepburn, does for/to bespectacled paleontologist Cary Grant in "Bringing Up Baby." But Stanwyck brings salvation from the streets rather than the penthouse. Jean Arthur in "Easy Living" (1937) -- written by Sturges -- is a delightful working gal, but Stanwyck is far more streetwise. Tough, strong, and smart, but no less feminine than some of her screwball sisters, she has learned to survive in a cut-throat world, living by her wits. She's at her best when she's in control, and she usually is. In many of her most famous movies the unspoken truth of any given scene is that she knows exactly what she's doing -- until, perhaps, her emotions sneak up on her and overthrow her instincts, by unexpectedly allowing her to fall head-over-heels for her (relatively) naive and helpless male prey. Stanwyck slices right through class conventions and social formalities, immediately addressing Gary Cooper's Professor Bertram Potts by the more casual nickname of "Potsy." Likewise, Fonda's Charles Pike, heir to the Pike's Ale fortune, becomes "Hopsie" (after a key ingredient in the family brew). The very notion of someone with such a direct, spontaneous, and unrefined disposition masquerading as a blueblood is, as Preston Sturges realized, a terrific premise for comedy. Brian De Palma’s exceedingly stimulating and sensational consideration of femme fatale iconography and the possibility of redemption within it begins with one of the director’s customarily brilliant, multilayered opening shots. Under the black of the producers credits, familiar voices are heard. It’s Fred MacMurray. Fade up on a shot of an extreme close-up of a TV. It’s MacMurray, 525 broadcast lines blown up to big-screen size, in "Double Indemnity". But a close examination of the image reveals a splash of color -- something else is visible here, contrasting with the black-and-white images of Billy Wilder’s film. It’s a reflected image of a half-naked woman stretched out perpendicular across the TV screen. She is watching "Double Indemnity", and we see her watching the movie in her reflection off the glass TV screen. "Double Indemnity" continues to play out, crosscutting between MacMurray and the original femme fatale, Barbara Stanwyck (as Phyllis Dietrichson). The image of the young woman becomes clear, yet remains slightly ghostly, as the image in Wilder’s film darkens. MacMurray moves to close a window, when a shot rings out. Stanwyck has betrayed him with a bullet, and the title credit "Femme Fatale" pops on screen at the same time, as the ethereal image of the woman, reclining on her side, dispassionately watching the movie, lingers. (The title credit “A Film by Brian De Palma��? was earlier synchronized with Stanwyck’s first appearance on the TV.) Now De Palma’s camera begins to pull back. We see the cabinet of the TV, and we can now also observe that there are French subtitles superimposed on Wilder’s film. The image of the woman reflected in the TV seems even clearer now, as we continue to pull back, seeing her much more clearly in the flesh, gray tendrils rising from the cigarette she’s smoking while watching the TV. At this point there is double layering of the woman’s image, the reflection and the person being reflected, over the image of Stanwyck, who has taken a dominant position over her wounded lover as she confesses her machinations against him. The seventh annual Outdoor Film Festival in Grant Park will open with James Dean as a rebel without a cause, and end with Ferris Bueller as a rebel with one. The series of seven free Tuesday evening screenings, which draw crowds upward of 14,000, unspools starting July 18 at Butler Field, Monroe and South Lake Shore. 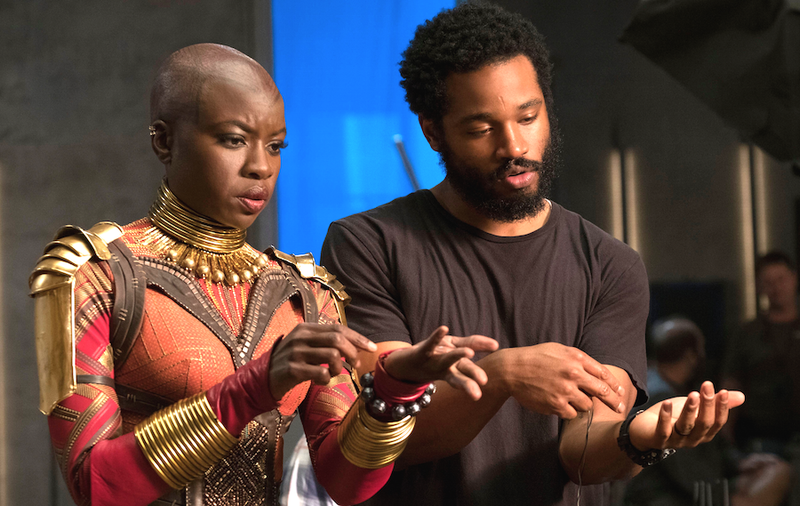 The schedule of this year's festival, which is presented by the Mayor's Office of Special Events, Commonwealth Edison, the Chicago Park District and the Chicago Film Office, was released today.